Don’t miss this 5th annual foodie event in Leelanau County from April 26 - May 4, 2019. Glen Lake Restaurant Week offers an array of options, “from French Fries to French Cuisine,” boasting something for everyone with a variety of dining options around the greater Glen Arbor area. This year, we welcome Nonna’s at The Homestead back to the lineup, and some new participants joining the event: Cherry Public House located at Cherry Republic in Glen Arbor, Broomstack Kitchen & Taproom in Maple City and Glen Arbor Wines on S. Lake Street in Glen Arbor offering pours of wine or cider and catered light-eats. 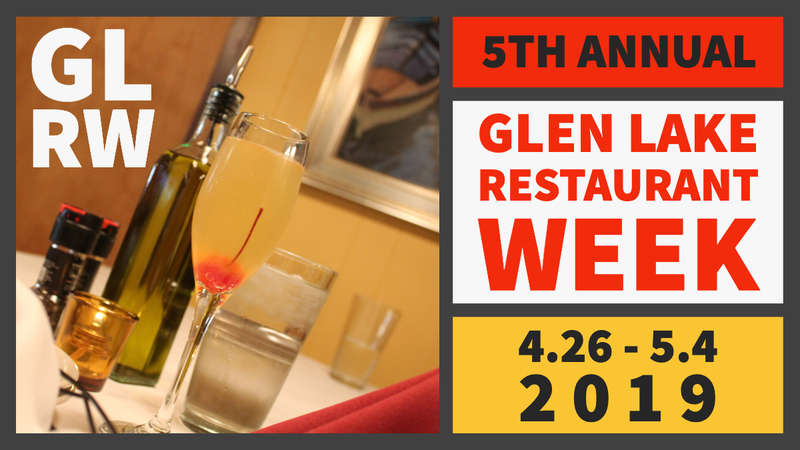 Make sure to book your reservations and follow the Facebook page @eatglenarbor for event updates, photos and the special event Menus. Restaurants will offer their own 3 course, prix fixe menus from $25-35 for unique and mouth-watering experiences. Participants include: Art’s Tavern, Blu, Broomstack Kitchen & Taphouse, Cherry Public House, Trattoria Funistrada, Glen Arbor Wines, Nonna’s at The Homestead, La Becasse, and Western Avenue Grill. Visit glenlakechamber.com for event details & restaurant contact info/addresses, a local business directory, places to stay and other things to do while in Glen Arbor! Participating restaurants and eateries in and around Glen Arbor.